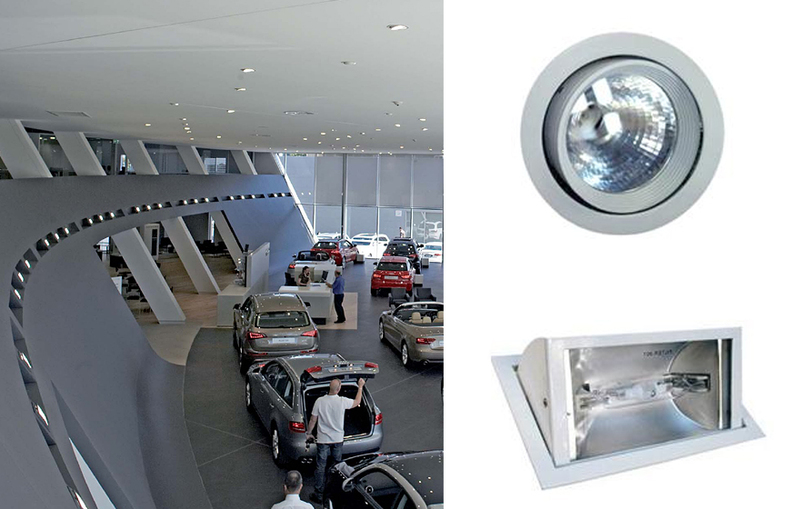 Popularly used in wide expanses where lighting economy is a factor i.e. car parks and stairwells. The Tornado offers an economical and cost effective lighting solution. 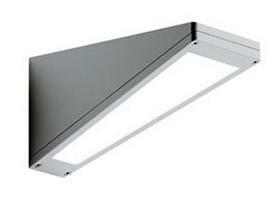 Available in surface mounted and suspended mounting options as well as fluorescent and LED light sources. The Tornado is available in DSI, Dali, 1-10V as well as emergency lighting configurations. Contact us for product specs. 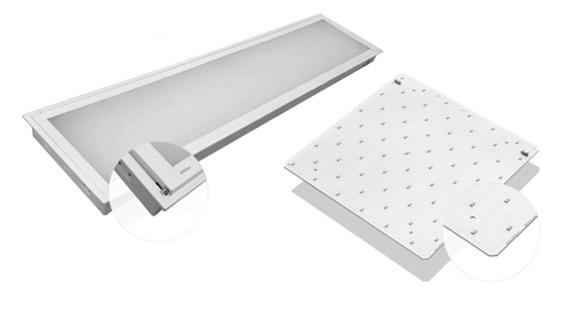 Utilising the highly efficient and well engineered Tridonic LED panel arrangement the Cosmoluce LED troffer offers commercial grade output at just 52W (and 5880 lumens!). 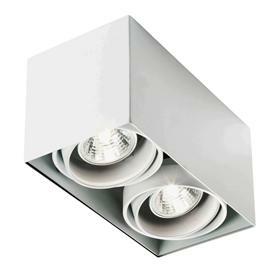 With Y5 diffuser the troffer looks like any regular troffer and sits comfortably in a standard T-Bar ceiling arrangement. Contact us for product specs. The sleek angled design of the melds seamlessly with architectural exteriors whilst offering functionality and durability. With an IP65 rating and with UV and corrosion resistance the Slash will be a longstanding addition to any commercial building. 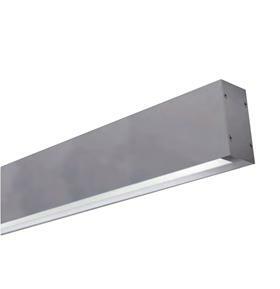 With fluorescent, High-Intensity Discharge and LED options the Slash has your commercial applications covered. Contact us for product specs. The H6 offers versatility with a choice of 3 output options (17W, 25W and 36W). Simply nominate the desired output on the driver. With a highly recessed opal diffuser a glare-free, neutral white light is emitted. The H6 is an ideal replacement for any fluorescent commercial down light and will save on your clients energy bills now. Contact us for product specs. A most visually comfortable lighting solution for increasing aesthetic value as well as productivity in office spaces. With a cleverly designed hull which holds the light source (fluorescent or LED), light is gently and effectively diffused in an indirect manner. 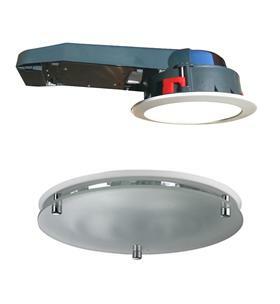 Surface mounted, recessed or suspended options available in almost every possible output. Contact us for product specs. The Skelbeam offers a vast range of possibilities with its multiple choice of lengths, colours, output options and glare control. With options for 14W/28W/36W/54W and 80W T5 with opal reeded diffusers or louvres. The extrusions can be mounted to the wall or ceiling, recessed or suspended and come in anodized aluminum, black and white. The skelbeam is priced very competitively and wont break the budget. Contact us for product specs. Discreet and glare-free – perfect for front of house commercial spaces. A stylish solution for lighting spaces with difficult ceiling arrangements with exposed beams as well as wall washing. With modules available in single, double, triple and quad arrangements as well as halogen and LED light sources. Available in satin white, silver and black. Contact us for product specs. Create a light spectacle with these ultra-thin LED panels of light. Perfectly diffused and glare-free with a satin opal diffuser whilst maintaining a high level light output of 38W/1900 lumens. Available in a range of color temperatures 3000K, 4000K and 5000K as well as sizing options 1200×300/600×600/300×300. Contact us for product specs. 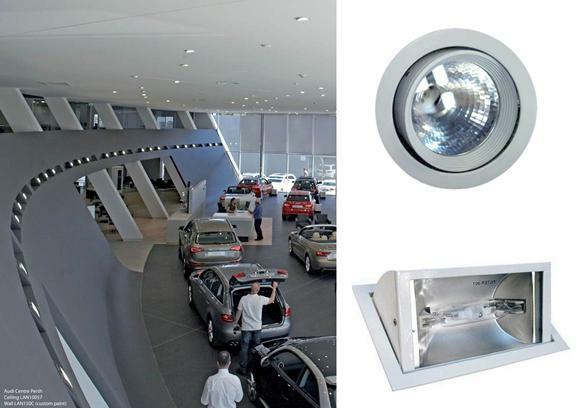 A surface mounted or suspended option for perfectly diffused lighting for garages, store rooms and industrial spaces. 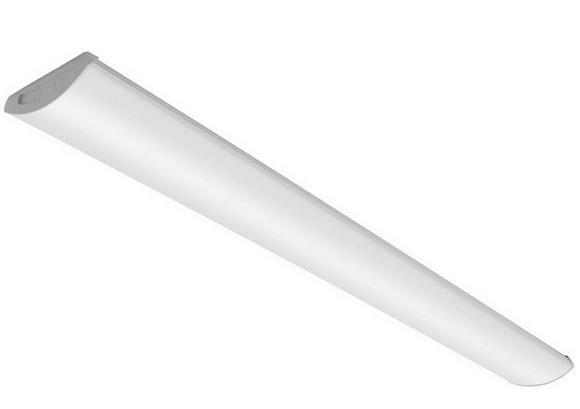 A more streamlined opalised fluorescent luminaire offering a more attractive alternative to clunkier fluoro battens. Available in a wide range of T5 lamp combinations. Product specs. 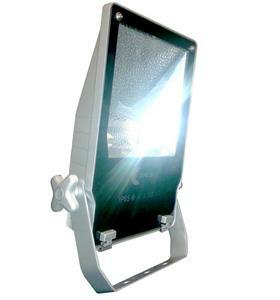 Offering 70W and 150W Metal Halide outputs the Lanark flood projector will flood any area from a high mounting point. With an IP65 rating this flood will stand the test of time. Contact us for product specs. 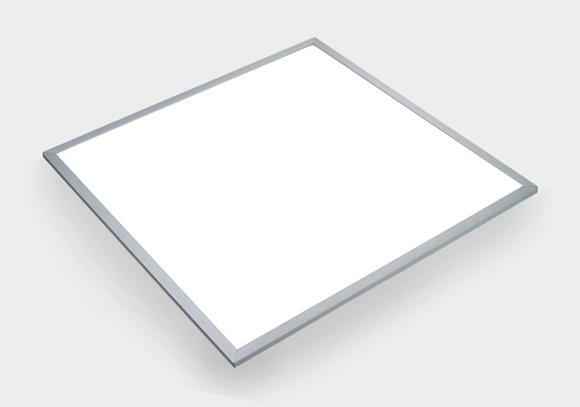 A commercial grade fluorescent downlight available in 1x18W/2x18W/1x26W/2x26W lamp combinations. With exposed, clear glass lens or frosted drop glass for a more decorative appearance. Contact us for product specs. A project we recently completed with Wesco Electrical. Lighting supplied by Craig Bennett and Natalie Lee. 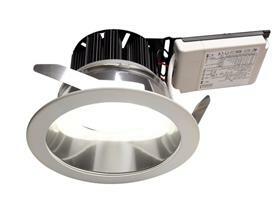 We specified the LAN150 150W MH wall washer and the LAN10057 70W MH adjustable downlight.